It’s seems like there’s a new type of mattress on the market every day. This is something of a surprise, as mattress technology stayed basically the same for hundreds of years. Each new type of mattress offers different qualities that people find appealing, from the hug and contour of a memory foam mattress to the bounce and cooling of a traditional innerspring option. One of the results of this burst of innovation is that people have been looking for ways to get the best out of the different construction techniques while minimizing the drawbacks that are associated with each type of material. 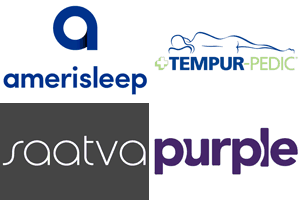 As a result, more companies are pairing different construction techniques in the quest for the perfect night’s sleep. These combination jobs are called hybrid mattresses. A hybrid mattress is a combination of two or more of the major mattress construction techniques. They attempt to offer all of the positive qualities of each technique, while using other techniques to minimize the downsides. The result has been some truly great mattresses. This guide will help you understand what a hybrid mattress is, the different qualities that different construction techniques offer, the types of hybrid mattresses, and then includes a list of the best hybrid mattresses on the market today so you know where to look if you decide hybrid mattresses are right for you. A hybrid mattress is a mattress that combines two or more of the major construction techniques for a mattress. 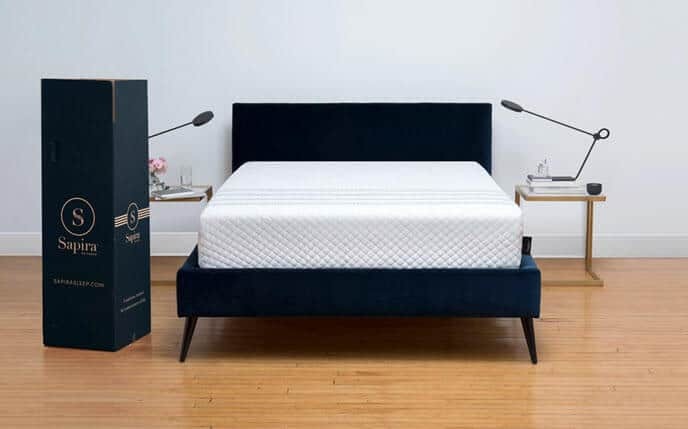 The most common type of hybrid mattress is a true hybrid, which combines coils or springs with memory or other foams to produce a unique set of qualities. There is another type of hybrid mattress, called a foam hybrid. This mattress uses different types of foam, for example poly foam and latex foam, to produce a unique mix of qualities to hopefully produce an excellent mattress. We’ve talked about the benefits of coil mattresses before, so if you think you might like a pure innerspring design, be sure to check out our helpful guide. Including coils many benefits for a mattress. First, coils are a tried and true mattress construction technique, so coils are generally reliable and inexpensive. This can help reduce the price of a mattress. Another benefit offered by coils is cooling. Our guide on cool mattresses explains this is more detail, but the biggest factor in how cool a mattress sleeps is how much airflow it gets. Coils create large channels for air to move around, which helps to keep the mattress cool and comfortable. Coils also offer more bounce than foam, and so hybrid and coil mattresses will be more bouncy. This can help during adult playtime, but it also makes it easier to do things like get into or out of bed, or stand up from a sitting position on the bed. Finally, coils create a more traditional feel. The surge in popularity of foam mattress is fairly recent, so most people who are considering what mattress to buy probably grew up with a coil or innerspring mattress. Therefore, a hybrid mattress will have a closer feel to what you’re useful. This makes them a great option if you’re used to the feel of an innerspring mattress and don’t want to give it up, but are interested in the properties that memory and other foams offer. There are several different foams used in the construction of mattresses today, we’ll look at some of the specific properties of memory foam and latex foam in a moment. However, no matter what kind of foam you’re talking about, there are some things they all have in common. Foams offer more hug and contour than a coil mattress. The foams used today are viscoelastic, which means they respond to the pressure and weight of your body. This is what causes the mattress to mold to your form, creating a tremendous amount of support by ensuring each part of your body gets the exact amount of pushback it needs to keep your body in alignment. Foams are also very soft and comfortable. The hug and contour discussed above don’t only provide support, but they also help your body relax and feel at ease because of how soft and inviting they feel. While an innerspring mattress is still plenty comfortable, the only time you sink into an innerspring mattress is when the coils are broken. The comfort and sinkage you get from foams can’t be matched by anything else. Hybrid mattresses can be formed a few different ways. 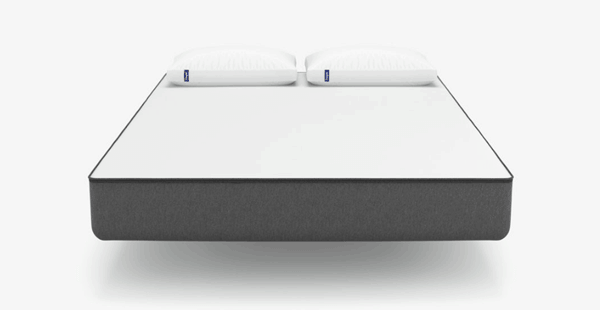 You can combine foam and coils to form a coil-hybrid or true hybrid mattress. 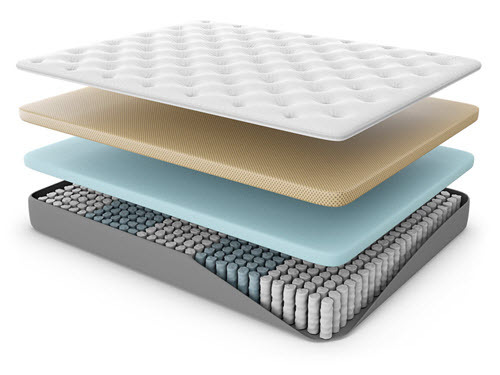 Companies also combine different types of foams to form foam hybrid mattresses. Finally, there’s pillow-tops, which are not true hybrids, but use the same principals. Let’s look at each in a bit more detail. Coil hybrid, or true hybrid, mattresses offer the best of coils and foams. They are constructed with one or more foam layers on top of a system of coils. (Check out our innerspring guide to learn more about different types of coils.) Most hybrid mattresses use a pocketed coil system. Using memory foam at the top means that the mattress can get the hug and contour properties of that material. Latex foam can also be used or included to offer its particular qualities as well. This means you get the support, pressure relief, and comfort of foam. At the same time, the coil system creates large air channels to help keep air moving around the mattress. This counters one of the most common complaints people have with foam mattresses, which is the way they retain heat. Moreover, the coils offer the bounce that you don’t get from a standard foam mattress. Foam hybrid mattresses offer different types of foam, like memory foam and latex, or foam and another material, like memory foam and a polymer blend. These designs attempt to use the diverse qualities of the different foams to get the best that all the materials have to offer. They do a fantastic job of producing a great sleeping surface, and some of our favorite mattresses are foam hybrids. However, foam hybrids don’t offer the bounce or cooling abilities that a true hybrid has. There’s simply no replacement for the air channels and bounce created by coils. Pillow-tops are perhaps the oldest type of hybrid mattress. They use a soft upper layer that resembles a pillow. The pillow-top material is not viscoelastic, so it won’t respond the same way as foam. The pillow-top does create an initial softness and comfort that you don’t get from coils alone though, and it doesn’t have the heat retaining properties of foam, so some people prefer this to other hybrid options.